Nestled at the foothills of the Blue Mountain Range in Shan State, Inle Lake is the second largest freshwater lake in Myanmar. The scenic 22km-long lake is dotted with stilt houses and verdant floating vegetable gardens, best explored on a long-tail boat. Most of the lake residents belong to the Intha group, famously known for their leg rowing technique. 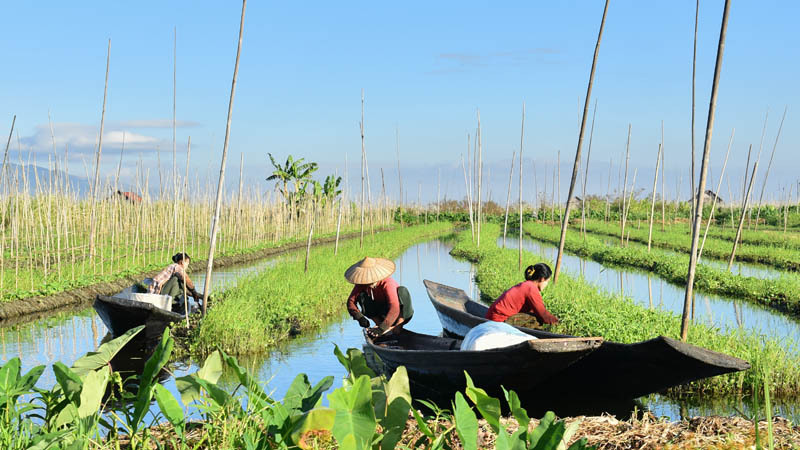 Other attractions on the lake include ancient temple sites and handicraft workshops specialising in lotus weaving and making cheroot (Burmese cigars). The town of Nyaung Shwe is the gateway to Inle Lake, served by Heho Airport.